The keys to the future are to be found in a living past. Here we uncover the foundations on which the BERGER GROUP has grown and has continued to develop to this day. The origin of the BERGER GROUP lies in agriculture, in a small farm near Vilshofen, farmed by Nikolaus Berger. In 1905 his son, the master builder Johann Berger, inspired by the entrepreneurial spirit of the age in Imperial Germany, decided to become a businessman. In the town of Vilshofen Hans Berger's small building business quickly began to succeed in the face of established competitors. He soon started trading in sand and gravel on the Danube. The successful establishment phase ended abruptly with the outbreak of the First World War. Certainty in uncertain times came from the agricultural holding on the estate in the Ortenburgerstrasse, which secured their livelihood. However, thanks to attractive orders, in the 1920s BERGER energetically resumed his success story in Vilshofen, and proved himself to be a capable, reliable and quality-conscious business. Along with the economic miracle after the Second World War came the first major growth stimulus for the company: contracts from outside the region increasingly strengthened the economic ground below the entrepreneurial feet. With the establishment of the road construction branch, BERGER increasingly spread beyond the borders of Vilshofen. A contributing factor was progressive mechanisation: lorries and construction machinery gradually began to replace the use of horse carts. The acquisition of the first concrete mixer lorry and a scraper dozer also occurred during this period, as did investment in a Barber-Greene asphalt mixer plant from America – a top-modern machine for those times. By the mid 1970s BERGER had reached an impressive size and the builder's yard in Vilshofen town centre had become too small. BERGER consolidated his attachment to Vilshofen with the future-oriented relocation of the builder's yard from the Ortenburgerstrasse to Wieshof outside the gates of the town. In 1974 building began there on a modern plant with its own prefabricating facilities as well as workshops and warehouses. The prefabricating plant was also the basis for establishing the bridge construction division in 1975. By the 1980s, the ready-mix concrete division had grown so much that, in 1982, BERGER BETON GmbH was established, operating as an independent company alongside the construction sector from then onwards. Despite several moves, the office space was also no longer adequate for the company's development. 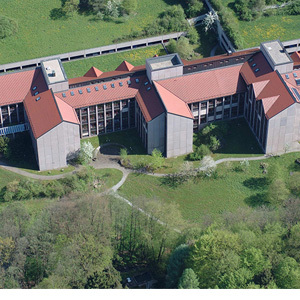 From 1986, staff from three locations found a new home with optimal conditions for efficient administration in a newly built head office in Passau. The main office had to be expanded once more in 1996. The political changes in the 1990s had a huge effect on the the Group as it is today: the Berlin branch was established in 1991 immediately after reunification. At almost the same time, BERGER expanded further into Eastern Europe with the subsidiaries BERGER BOHEMIA in Pilsen (1992) and BERGER BAU POLSKA in Breslau (1995). The building boom after reunification was also the incentive for setting up a number of new ready-mixed concrete plants which are now the basis of a steadily growing supply network. In this historic period of change, BERGER also succeeded in making a strategic entry into raw material extraction with the acquisition of several gravel works, quarries and a holding in the Slovakian cement works at Ladce. This was an important step for boosting construction capability and guaranteeing the sustainable development of the company. In 1997 a venture into new project territory got off to a dramatic start: as the lead member of an SME working group, BERGER won the prestigious contract for building the new Nuremberg–Ingolstadt/Los Süd section of the ICE. 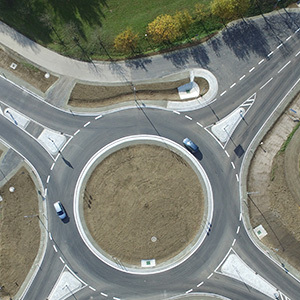 Further large-scale projects followed after the turn of the millennium: from the complete reconstruction of large sections of highway in Poland and the Czech Republic; to entry into the PPP business model in Germany where BERGER, as a member of an international project consortium, is responsible for the construction, maintenance and operation over 30 years of the A8 Munich–Augsburg PPP pilot project and A94 Isental motorway. The BERGER GROUP took further future-oriented development steps in 2012 with the start of the special foundation engineering division by BERGER Grundbautechnik GmbH and, in 2013, the development of the "north" working group with ready-mixed concrete plants in Hamburg, Lower Saxony and Schleswig-Holstein. In 2016 a modern office complex was completed in Werneuchen – a landmark step to be able to guarantee long-term optimum administrative and engineering services in the metropolitan area of Berlin. In addition to this the Group also prepared itself for the future from a legal perspective by changing the main parts of the company from German GmbHs to European incorporated companies. 1992 Berger starts in Czechoslovakia with the subsidiary Berger Bohemia a.s.
1995 Berger starts in Poland with the subsidiary Berger Bau Polska sp. z o.o.